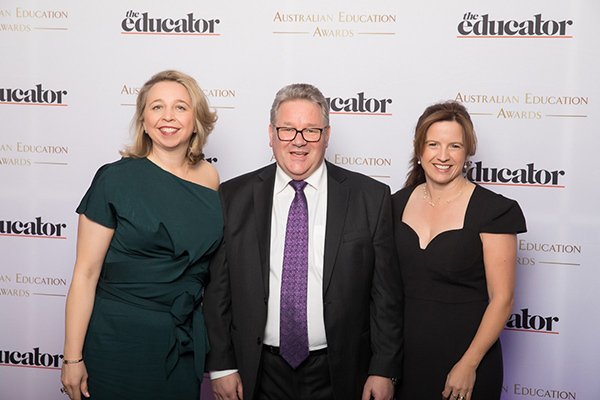 Last month Carey was presented the prestigious Best Student Wellbeing Program at the 2018 Australian Education Awards. These inaugural awards attracted entries from schools across Australia, and Carey made the finals in two categories: wellbeing; and Innovation in Learning Design. We are incredibly proud to have won this award, which ‘recognises the most outstanding program or initiative developed by a school in Australia to improve student health and wellbeing’. We take a wholistic approach to wellbeing and believe that our program is crucial in helping students to develop and grow into wise, independent and motivated young people. At Carey, our wellbeing model facilitates a sense of belonging and meaning, and have processes designed for preventing mental health decline including intervention and additional support where required. Our highly resourced team comprises multi-disciplinary wellbeing professionals, who work collaboratively to provide case management and education services to promote and enhance each student’s experience. Whilst we are humbled by and grateful for this recognition, it is a reflection of the hard work and dedication of our Student Development and Wellbeing staff that has brought us to this point. We will continue to focus on wellbeing as a key part of our curriculum, and provide high quality and innovative programs and services to enable our students to flourish and enjoy their time at Carey.